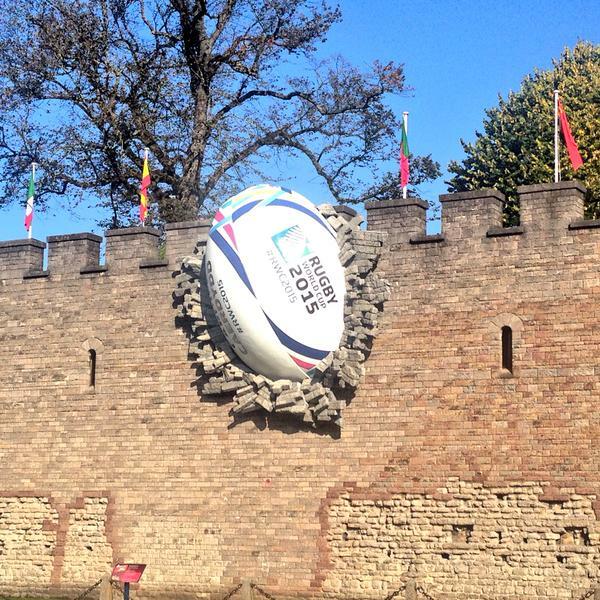 The 2015 Rugby World Cup is under way! From a leadership, management and team perspective there are many things that we can draw upon from the inevitable drama that is a part of any major sports tournament. There’s the pride, passion and belonging that the players clearly have when putting on the team shirt – how can we as leaders foster the same level of pride, passion and belonging in our teams? There’s the strategy that allows a team to disrupt and triumph over the match favourites as we saw when Japan beat South Africa. How do we as strategists develop a winning strategy that allows our organisation to punch well above our weight? But as a supporter of Wales I’ve been concerned about all the injuries that the team have suffered recently. How resilient is this Welsh team? How competitive will it be having lost some of it’s key players? If Wales is to progress in this tournament it will need to have developed resilience. I have also been concerned about maintaining the resilience of my own organisation – the IT job market is currently buoyant and the pressure to deliver more for less only ever seems to increase; how do we, as leaders, build and maintain resilience for ourselves and our organisations? Keep things in perspective. Worrying is draining and can lead to panic and/or unhealthy stress levels. Don’t panic, stay calm! Clear thinking will get you further than flapping. Try to work through the situation logically exploring scenarios, options and outcomes. Try to be realistically optimistic. Nothing is usually as bad as you first think and often there are unexpected upsides to bad situations. Seek out help and advice. No man (or woman) is an island; we all have connections and every connection is likely to know something that you don’t. Asking for help is a sign of strength. Try to find the humour in a situation. To see the humour in a situation we have to enter an observant role. The observant role requires physiological distance which in turn provides perspective. Be prepared. In the same way as an individual needs to remain calm in a crisis so should the organisation. If you’ve thought about likely scenarios and responses in advance then your likely to achieve better outcomes. It’s a lot easier to think clearly in a calm environment than in the midst of a crisis. If the organisation has an effective business continuity plan in place to effectively manage the crisis then it is highly likely that the crisis will be shorter and have less of an adverse impact. Develop flexibility. Just as sometimes players are required to play out of position, sometimes it is really useful if you have employees who are capable of taking on tasks that are not normally within their day-to-day activities. This will often require investment in time and training but if it helps to eliminate single points of failure you’ll be glad that you did it should you be facing a crisis. Develop a strong employee value proposition. Someone will always be prepared to offer more money for the right candidate but what can your organisation offer that could differentiate it and keep your valued employees as part of the team? Research has shown that training, development and a sense of purpose can be more motivating than financial rewards. Seek out help and advice. As individuals we have connections that we can call upon for assistance and so should organisations. No organisation is likely to be entirely self reliant and good organisations will develop networks that outlast the individuals who initiated and built those original connections. “We’re in this together!” If as leaders we can articulate the challenge and a response that is credible then that will encourage belief and belonging. It develops a sense that provided we stick together we can face whatever is thrown at us and come out the other side feeling positive, no matter how battered and bruised we may have become in the scrum and the maul. Do you have any advise on building self resilience and organisational resilience?